Saddle up and prepare to hit The Trail West with 200 shotgun tales from the untamed and always wild, American frontier! Meet the legendary figures that ruled the rugged terrain with 50 DVDs locked and loaded with the loudest guns and fastest bullets you've ever seen in one collection. From barroom brawls to robberies and holdups to shoot-outs and showdowns; these Western classics contain some of the best outlaws and lawmen this side of the Mississippi! 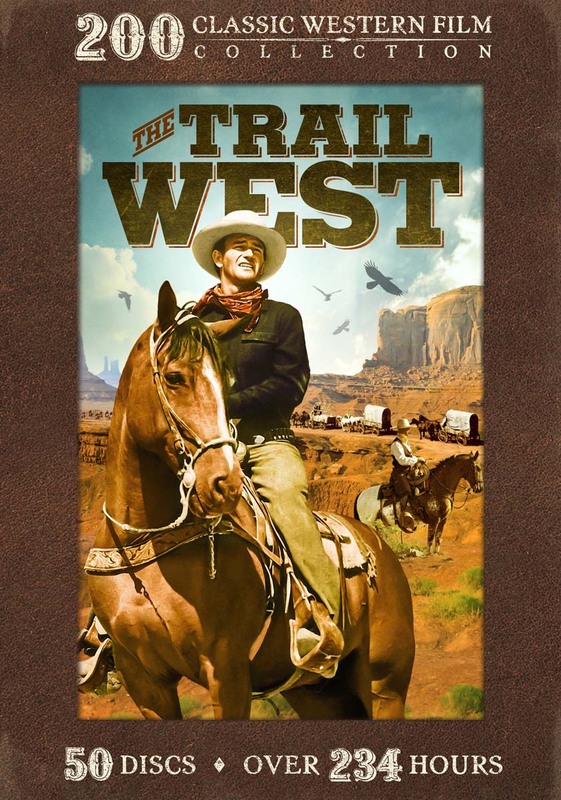 Discover the genre-defining mavericks of Western cinema that painted the town and the prairie with legendary tales from our historic American West!